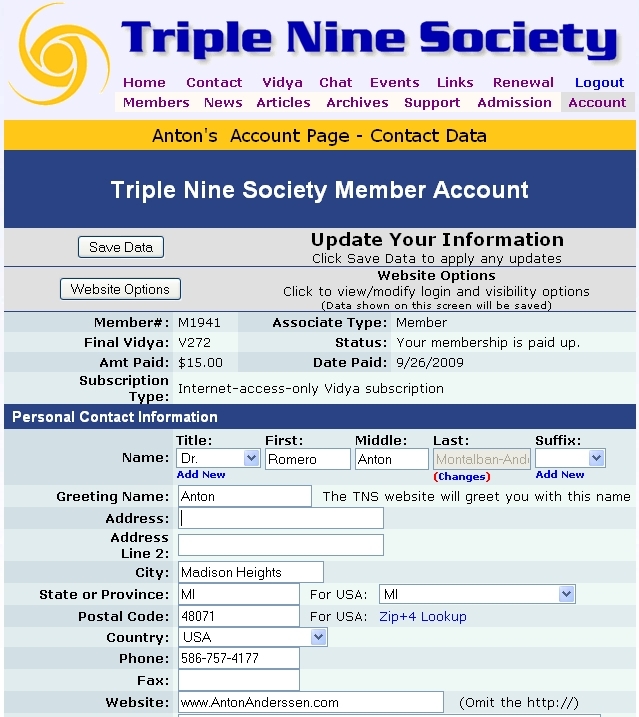 Anton, The Lord of Hartforth joined the Triple Nine Society in 1985. This is an ultra-high IQ organization for people who score in the top 99.9% of the population. It is 200 times more selective than Mensa.